If you have a passion for kids, you may want to start a Daycare Center. You may need a business plan in order to get a loan or angel investment. Sometimes counties require business plans before certifying your business. There are 6 pieces of information every daycare center should have in its business plan. Tell the reader about the Market Opportunity. In this section, you’ll discuss how big the market is and how many children you will have in your facility. As a professional, I usually calculate the number of children in your immediate area and the number of vacancies that are currently open for children. In most cases, there is more demand than supply. That’s what readers want to see. Proving you’ll have a waiting list of children is good for business and lets the reader know there’s a real market need. For example, I wrote a business plan for an entrepreneur who was running a Christian Academy. We were able to calculate the approximate number of Christian parents (and thus Christian children) that were in her area. We proved there was more supply than demand within her geographical and religious market. Here’s an important note: I often receive calls from people who want to set up Daycare Centers in lower income neighborhoods. They believe that the money they’re going to get from the government will be enough to take care of the operational expenses while also running a very good high quality facility. Unfortunately, this isn’t the case. I worked with a client who was receiving $85 per week from the County yet his competitors were receiving $125 per week. That’s a huge difference in the quality of teachers and daycare providers that they could hire. Please don’t be discouraged. My suggestion – if they seriously want to help some low income children – is to have a scholarship set up where you take 10% of the total children from low income households. You are able to help a couple of families but your whole business doesn’t suffer. What’s Your Marketing Plan? After you’ve decided where your facility will be and the types of families you’ll target, then you must discuss your marketing plan. Examples of how individuals market their facilities include partnerships with doctors and pediatricians, social media advertising, and referrals. Open houses are a powerful way to market your facility. In your business plan, you’ll discuss the gatherings you’ll have every fall and spring. How will invitations be sent? Are they going to do tours around the facility? How will you convert interested parents into buyers? Adding details adds more credence to your plan. Discuss your team. Who do you need on your team to be successful? What’s the ratio of kids to teachers or providers? Who is your accountant? Attorney? Who’s developing the curriculum? Discuss their credentials and why they are the right person for the job. Tell the reader about your competition and competitive advantages. Who are your competitors? Who are your true competitors? Think beyond the obvious. Yes, other daycare centers are your competitors but they aren’t the only ones. Many women are choosing to stay home and home school their kids. Others have grandma or grandpa do the job. Discuss your competitive advantages and place that information in section four of your business plan. The most important part of your business plan are the financials. Don’t overcomplicate the financials. Think about the amount of money you need to start the business including the equipment you must buy, rent and security deposit, construction costs, and any other startup costs. A savvy business owner will include marketing costs before the facility opens so it’s close to 100% full on the first day the school is open. Some facilities will create a 3D rendering of what the school will look like. Therefore money is coming in (application fees and deposits) before the facility opens. Having moms and dads to apply to your Daycare Center before it opens is smart! Ask yourself if there are any other ways to create revenues. Are you an all-inclusive place or are there certain types of activities and activity fees that you want to add on? Are you going to take field trips? One of my past clients was building a small commercial kitchen in her facility. She decided to prepare meals for Moms to pick up on their way home including casseroles and one pot meals. Orders were due every morning by 10AM. She would pick up ingredients from the grocery store, prep the food, and it would be ready when mom came to pick up their kids in the afternoon. Another Daycare Center I worked with offered date night babysitting to parents. Friday and Saturday evening, parents would be able to drop their kids at 5pm and were able to pick them up before midnight. Parents could enjoy dinner, a movie, a concert or other activities. Also think about the daycare center’s operational expenses. Rent, insurance, salaries, taxes, learning materials and more. It’s important to show the bank that you can pay the business loan every single month without fail. 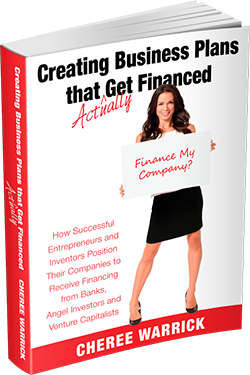 Investors will want to know that you can operate the business without financial concerns. Investor Repayment Plan. If you have an investor, how will they be repaid? Will they receive a percentage of revenues? A percentage of profits? Will you request a a loan with a 3, 5 or 7 year repayment plan? If you are offering interest to your investor, it’s important to offer them an attractive rate. They can receive 2% from the bank; therefore, it’s not attractive for them to invest in you. Investing in real estate yields 8% to 20% per year. You want to make sure your investment is as attractive because you are competing in terms of risk and reward with those other types of investments.